Home Arts, leisure and culture Bourne Corn Exchange Bespoke wedding packages now available! Bourne Corn Exchange is now licensed as a venue for marriages and civil partnerships. Bourne Corn Exchange is the perfect place to host your ceremony and enjoy celebrating the occasion with friends and family. Conveniently situated in the centre of Bourne, the venue has a fully equipped and licensed bar, professional kitchen and is accessible for wheelchairs. 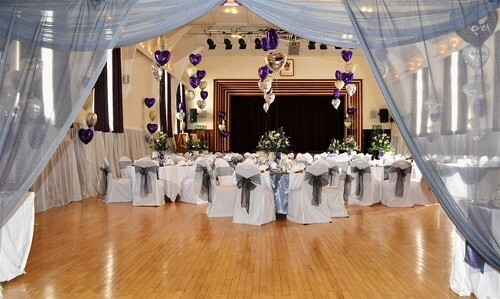 The hall can accommodate a reception party of between 140 and 180 guests. Bourne Corn Exchange really does provide everything you need at a competitive rate. The hall is available on an hourly or daily rate. For more information, please contact the House Manager Ian Bland on 01778 423579 to arrange to view the facilities and discuss your requirements. The Bourne Corn Exchange is located at 3 Abbey Road, Bourne PE10 9EF.